In the midst of this fast-paced world, it seems as if everyone is looking for convenience and immediate gratification. Whether it’s purchasing the products that you need over the Internet rather than going shopping; reaching your destination quickly by booking a flight on an airplane rather than taking a longer route; or even sending instantaneous e-mail messages rather than choosing to receive an actual letter via courier- these are just a few examples which demonstrate how important it is for today’s generation to have everything that they need within reach, which brings us to the reason why going back to basics is good every once in a while. If you are traveling, for example, why don’t you take a long journey via train rather than booking a one or two-hour flight? The good thing about traveling this way is that you can ‘exercise’ your patience in waiting for the journey to come to an end – while appreciating the things that you will come across along the way. On that note, read on to get a list of the top 8 most spectacular train journeys in the world that you can take. 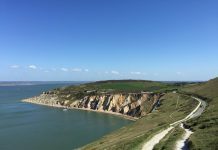 Long, arduous, luxurious, with plenty of magnificent sceneries along the way to keep you occupied – these are just some of the terms which can be used to describe the classic train journeys that everyone should take at least once in their lifetime. The good thing about taking the train and traveling the old-fashioned way is that it is typically less expensive than booking a flight in a plane [Cheap air travel]. 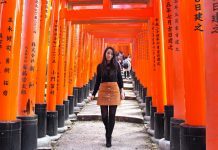 Although it’s far less comfortable and slower than air flights, taking the train will give you a better appreciation of the sights, sounds and experiences that you will encounter along the way. If you’re looking for a train journey that really takes you back through time, there is nothing better than taking a ride at the Glacier Express. It’s not an express train in the real sense of the world. In fact, it is considered to be one of the slowest express trains that you can take. So why is it included in our list? Again, in taking a train journey, it’s the actual journey rather than reaching your destination that counts. When you go aboard this train ride, you will pass through 91 tunnels and go across 291 bridges. 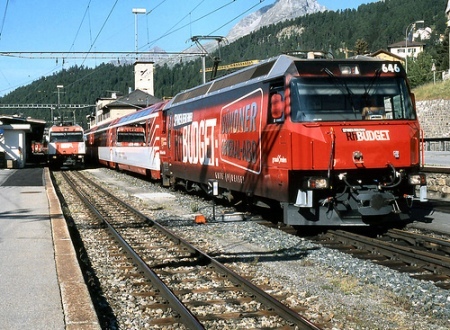 The highest point that the Glacier Express will take you is more than 2,000 meters in altitude. Interestingly enough, the Albula Line which is being passed across a trip via the Glacier Express was declared as a World Heritage Site last 2008. Finally, for those who are wondering how many hours it takes to reach point A to point B – that’s about 8 hours worth of journey. 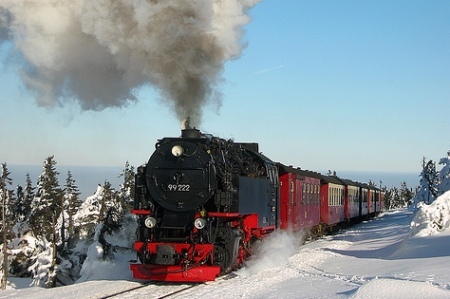 Also called Quirl, Harzer Schmalspurbahnen and Harzquerbahn, the train journey aboard the Harz Narrow Gauge Railways will take you to the Harz mountains in Central Germany [Germany holiday getaway]. The highlight of the trip is getting to Brocken, an old Soviet listening post situated on top of the tallest peak in the Harz Mountains. You will also pass steep tracks, a myriad of forests and majestic mountainous sceneries along the way. The Harz Narrow Gauge Railways is known to be the longest narrow gauge track in Germany where you will have a chance to visit the relatively unexplored parts of the country. This high speed train service which travels across Western Europe first opened as an 18-carriage Class 373 train way back in 1994. 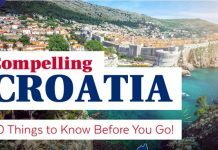 If you’re looking for speedy journeys that will still give you that old-fashioned feel of being in a railroad train, this is exactly what you should be taking. There’s only a two hour and fifteen minute journey separating central Paris with Central London, with a top speed of 186 mph. 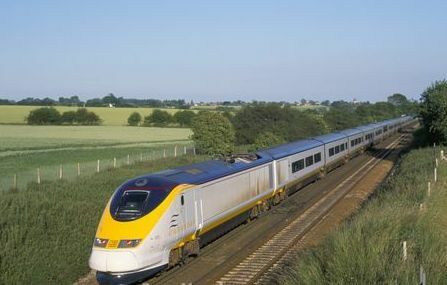 Whether you would like to travel to the northern parts of France, to central Paris, to Disneyland Paris or to Brussels, you can do it via the Eurostar express train. 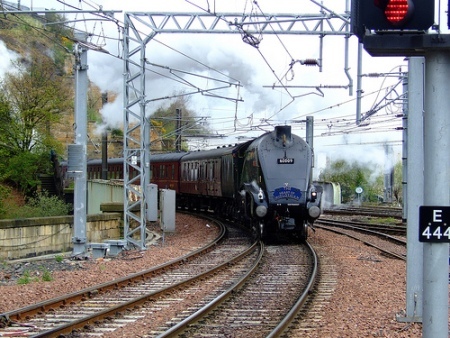 If there’s one train journey which has been featured in many films, books and television series episodes, that is none other than the Orient Express. The original route that this express train took was from Paris to Istanbul, although it has changed its routes several times since then. Also known as the “Great Rail Journey”, a trip aboard the Orient Express is as classic and as romantic as you can get. Some of the destinations that you can choose from when taking the Orient Express trains are London [London attractions], Venice, Budapest, Prague and Rome. Did you know that the Pride of Africa is dubbed as the world’s most luxurious train? This luxury train is run by Rovos Rail, which was established in 1989. If you’re looking forward to an experience of a lifetime, there is no better setting for that than aboard the Pride of Africa. 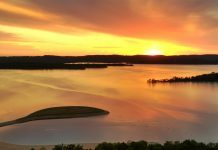 Some of the highlights of the trip are specifically for nature lovers who wish to explore the beauty and grandeur of this part of the world. Be prepared for the long expedition, though. Going on a Africa trip via the Pride of Africa will take you on a 14-day expedition through Cape Town, Kimberley, the Kruger National Park, Victoria Falls and Tanzania. Honeymooners will have a blast exploring the very heart of Southern Africa aboard the Pride of Africa luxury train. There’s no better way to enjoy the majestic scenery which is a major crowd drawer for the Flam Railway. This Norwegian train journey involves going through train tracks with steep inclines and vast green scenery. 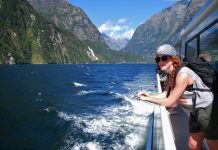 It’s even a treat for the adventurous because you will get to ride through the world’s longest fjord Sognefjord, the highest altitude of the trip is 3,000 feet, as well as a bunch of narrow passage ways and unforgettable sights [Adventure vacation]. 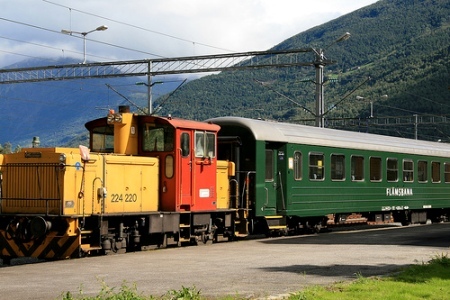 Exploring the beauty and bounty of nature is what the Flam Railway trip is all about – and it’s something that almost everyone will surely appreciate. If you’re mystified by the colorful culture that is all India’s own, then this is one of the best and most spectacular train journeys that you will ever join. 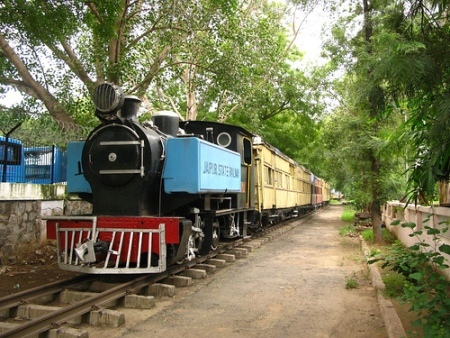 The trip will really take you back through time because a steam engine is used to pull the train from its starting point in Delhi. The Palace on Wheels journey also involves an elephant welcome, a camel safari and a trip to the Taj Mahal. If you’re looking for a unique experience, then hop aboard the Trans-Siberian Railway in Russia. 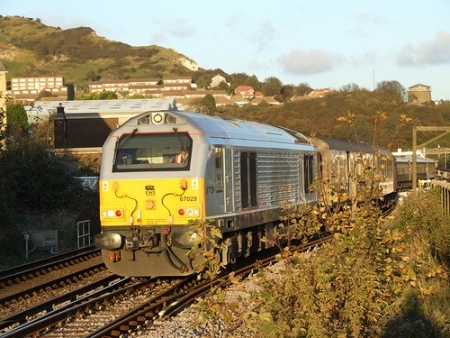 The entire train journey involves a 6,000-mile ride across the country. 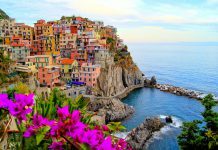 You won’t believe the vastness of the tour where every imaginable highlight of Europe is included, such as a visit to Moscow, Siberia and St. Petersburg. 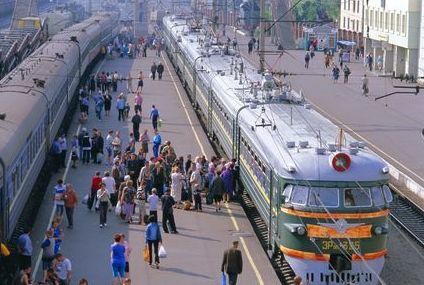 Rather than sitting passively on a 4, 6, 8 or 12-hour flight from your country to another destination, why not do things the old fashioned way and hop aboard one of these trains? 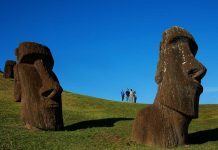 During the trip, you can soak in the sights, sounds and everything else that the trip has to offer, seeing as they are dubbed as the most spectacular journeys in the world.